The 2012 Web.com Tour was the 23rd Web.com Tour season. It ran from February 16 to October 28. The season consisted of 27 official money golf tournaments; four of which are played outside of the United States. The top 25 players on the year-end money list earned their PGA Tour card for 2013. The season started under sponsorship by Nationwide Mutual Insurance Company and was renamed the Web.com Tour on June 27. The table below shows the Web.com Tour's 2012 schedule, which included two new tournaments. The numbers in parentheses after winners' names show the player's total number of wins on the Web.com Tour including that event. No one accumulates many wins on the Web.com Tour because success at this level soon leads to promotion to the PGA Tour. 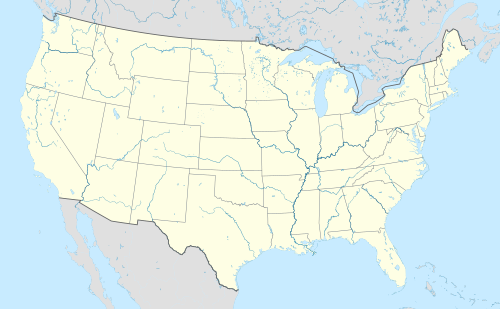 Location of tournaments of the 2012 Web.com Tour in the United States. Location of tournaments of the 2012 Web.com Tour outside the United States. The table shows the final top 10 money winners for the 2012 Web.com Tour season. For the list of the top 25 golfers, given PGA Tour memberships for the 2013 season, see 2012 Web.com Tour graduates. ^ "Web.com signs deal to be new umbrella sponsor". PGA Tour. June 27, 2012. Retrieved September 5, 2013. ^ "Web.com Tour Schedule - 2012". Retrieved September 5, 2013.